The newest member of the Mercatto family takes up residence at St. Lawrence Market, serving the usual Italian classics plus some new plant-forward dishes. Located at 20 Wellington Street East, just shy of St. Lawrence Market, Cantina Mercatto is the latest addition to the hospitality family. 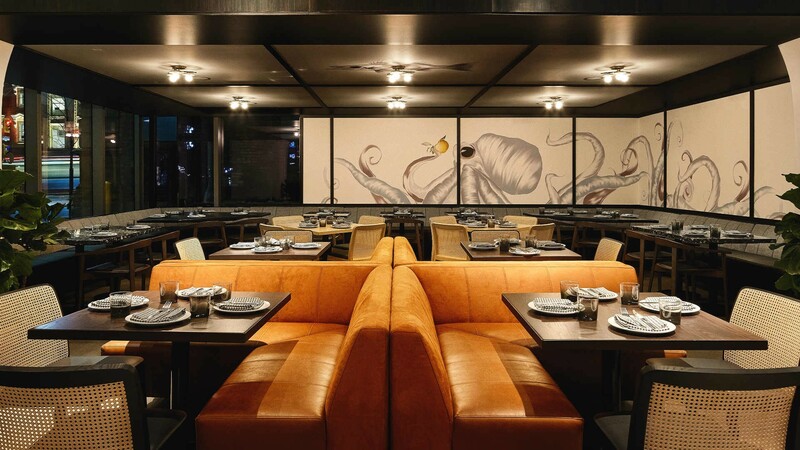 Jack Scarangella, President of the Mercatto Group, admits that the restaurant outgrew its original Toronto Street location, located just a five-minute walk away. When this new space opened up, it felt somewhat serendipitous. 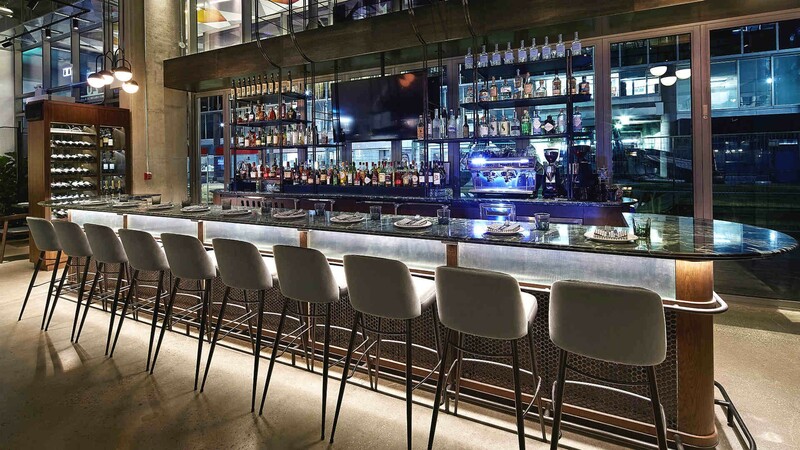 The crowd is part locals, part working-lunches, something the Mercatto group is accustomed to, since many of their locations are a mix between casual-meets-business-clientele. The name Cantina (derived from the Italian word for cellar) was inspired by the bright and airy 5300 square foot room, which was created by Studio Munge. The gorgeous custom hand painted wallpaper mural designed by Candice Kaye, a local artist and textile designer, is impossible to miss. 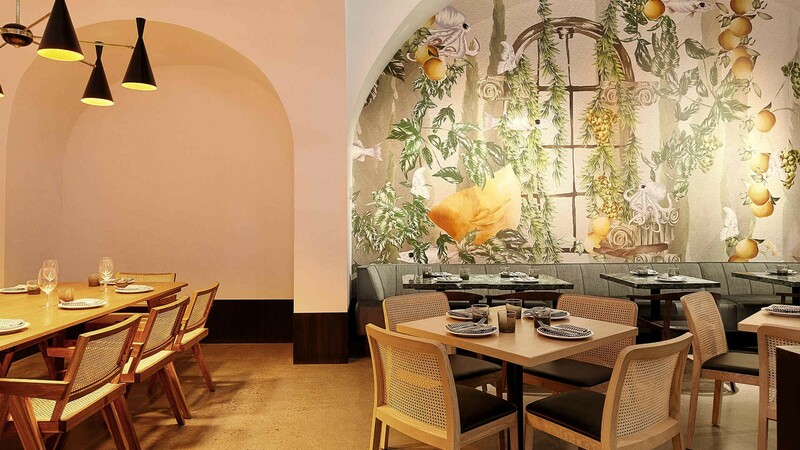 The artwork – bright, quirky and filled with lemons, cute sea creatures and vines – wraps around the entire room, creating the perfect background for your dinner selfie. Bar Manager Sean Smith wanted the bar menu to reflect the owners of the company and what they represent. Simply put, he created the programme with a simultaneously authentic Italian and classic Toronto vibe. Smith describes the drinks as something that his grandfather or dad would enjoy sipping at a cantina in the afternoon. Case in point: Nonno’s Cantino, a red-wine based tipple mixed with Italian cola, is perfect to nurse when it’s too early in the day to crack open the vino. Like all the other Mercatto locations, Cantina has a wine-heavy bar program, listing wines by style to make the menu more approachable and easy to navigate. They intend on keeping the menu seasonal, fun and open for everyone – including those who want to keep it light on the booze. Local craft brews have a strong presence on the menu. 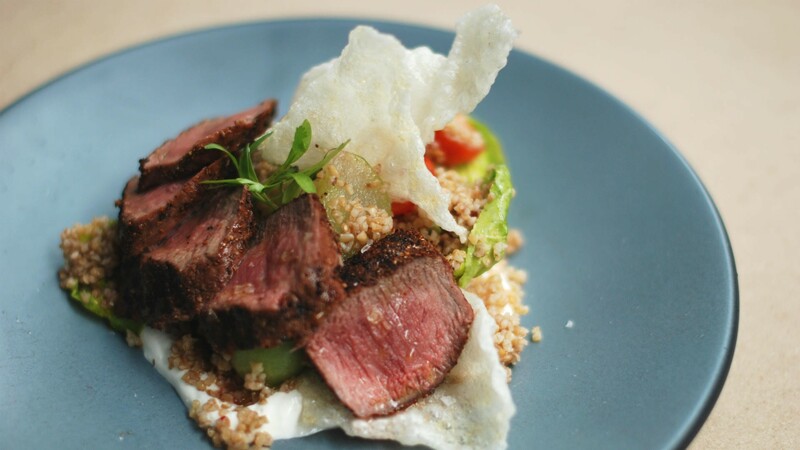 The menu stays loyal to the Mercatto classics but incorporates some new plant-forward dishes that are indicative to the neighbourhood and its proximity to St. Lawrence Market. 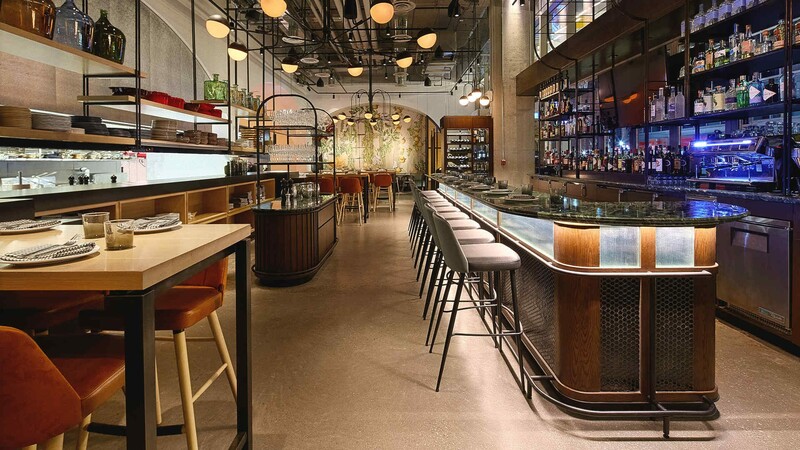 The Mercatto Group is known for their authentic Italian classics like pastas and pizzas – but with the new location and the chain celebrating their 20th anniversary, the menu has moved in a new direction. 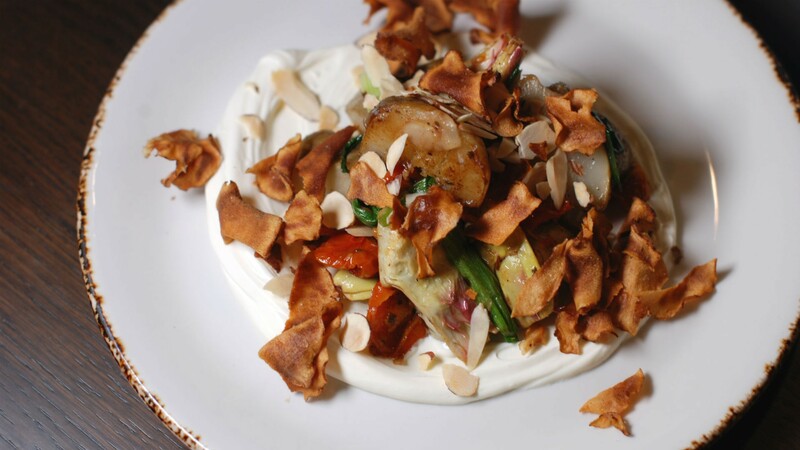 Dishes like the roasted Jerusalem and baby artichokes with panna fresca ($14) are a crowd favourite and ideal for after-work snacking. The Guaniciale pizza ($18) is loaded with fresh fennel, fior di latte, and San Marzano plum tomatoes. 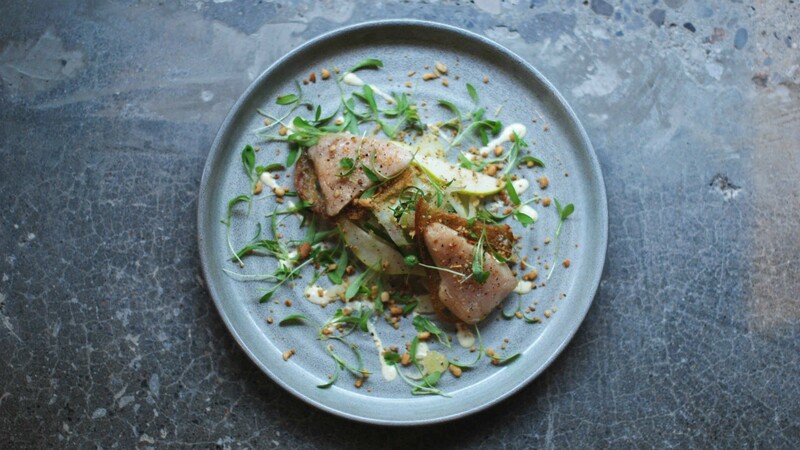 Both aesthetically and visually pleasing, the albacore tuna salad ($26), served medium rare, is the perfect combination of acidity, greens and protein. 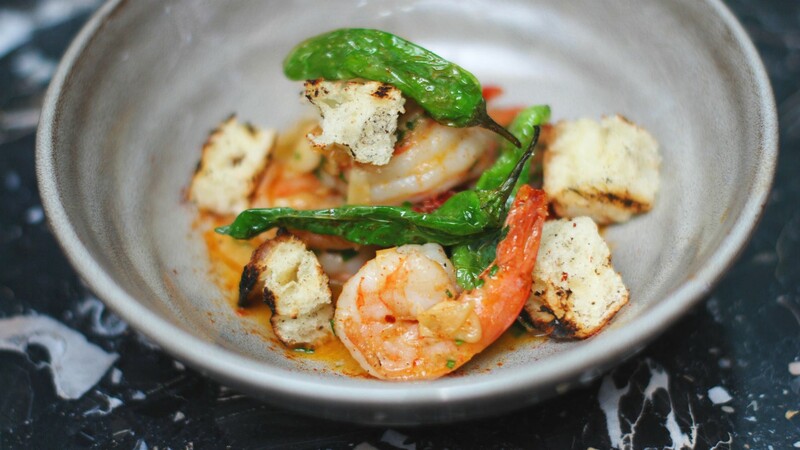 The menu is full of tapas style happy-hour-friendly share plates. Like many of the other locations, they get busy during lunch, so be sure to make a reservation in advance or sneak in after the rush for an early after-work cocktail and snacks.